There is more than one hot thing in Philly this weekend, never mind the temperatures that will hit near 100 on Saturday, it’s the Philadelphia Phillies that have set this town on fire since returning to Citizens Bank Park on Friday. The team that had been mired in a slump left a lot of people talking like their season was over. “They have an outside chance to make the playoffs,” is what I was hearing from all of the baseball pundits on talk radio on the dial from around the country. It kind of made me mad to hear that from some people, but I realize they are just trying to sound like they know what they’re talking about. Let’s face it, the Phillies did look like they were on the elevator and it was going down to the ground floor. That was then, and this is now. If it were the end of August, I would agree that the Phillies being 7 games back would not be a good thing and there would be a great chance that they wouldn’t win the division and go to the playoffs. This is July though, and there is still a whole lot of baseball left to be played. The recent slump and previous ones this season cost Milt Thompson, Phillies hitting coach, his job. That is not a bad thing. Milt has been with the Phillies for a few years now and there needs to be change, especially when things aren’t going right. That is baseball, it is always one thing that happens to team that isn’t performing well. Milt will find another coaching job, and someday may even manage his own team. It was the right move at the right time by the Phillies. The Phillies started off their latest tear with an extra innings win in Saint Louis to get out of that town with only 1 win, but it has been enough to light a spark under the formerly ‘sleepy’ offense. Last night, it was like the Phillies never had a problem at all. The bats came out of the gate swinging, and it propelled Roy Halladay to his team leading 11th win, while banging out 12 hits and 6 runs on the night. The Phillies now move into second place by themselves and will begin that slow climb back to the top. The Braves have set a great pace for themselves, but they too will have rough spots. The Marlins beat them, 7-6 last night and the Phillies gained a whole game on the Braves in quick order. 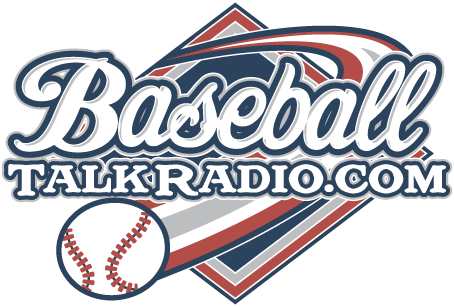 There will be a special “Phillies Talk” Podcast tomorrow morning with some interesting Phillies bloggers on as we talk about what the Phillies may need or not need, from the trade deadline. Is Roy Oswalt worth adding? Will the Phillies move Jason Werth? 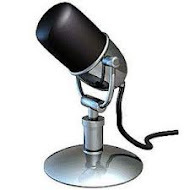 Join us at 9:00am on Sunday morning live for the show, right here at FightinPhillies.com, if you can’t hear it live you can download the show from iTunes or listen to it on our “Podcast'” page which you can select from the top menu on the blog. Jamie Moyer’s injury has given Kyle Kendrick a chance to return to the bigs today, with a towering prospect of taking on Ubaldo Jiminez of the Rockies. It’s a tall assignment for Kendrick who has been up and down in the Phillies organization more than just about anyone in the past few years. Will Kendrick be able to take advantage of this opportunity? He hasn’t ever had a full season with the Phillies since 2008 when he had 30 starts and he won 11 and lost 9 in that year. Kyle was sent back down to the minors last week. He does have 29 overall wins for the Phillies in the last few years. I think the Phillies should either play him or trade him away, I am sure some team sees the value in Kendrick. JA Happ will return to the starting rotation on Sunday, after rehabbing for weeks. He is making his first start since April 15, 2010 when he last faced the Washington Nationals. A strong Happ could help bolster this starting rotation and bring in some much needed quality starts by the bottom half of the rotation.